If you are a new agricultural business land owner, Congratulations and Thank You for choosing Jefferson County in which to operate your business. If you are an existing business owner, I wish you continued success and hope you find Jefferson County a friendly place to conduct business. The agricultural classification is available to land that meets the requirements set forth under applicable statutes, rules and regulations. Specifically, pursuant to Florida Statute 193.461 (3)(a) “No lands shall be classified as agricultural lands unless a return is filed on or before March 1st of each year, and (3) (b)…only lands which are used primarily for bona fide agricultural purposes.” Bona fide agricultural purposes” means good faith commercial agricultural use of land. 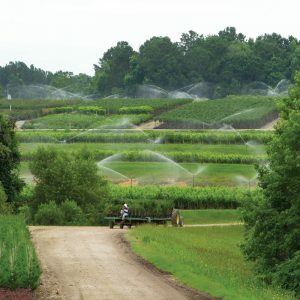 The agricultural classification is a benefit to property owners that results in a taxable value based upon agricultural use; this value is typically less than the parcel would be valued without the classification. Once granted, the parcel is valued pursuant to Section 193.461 (6)(a) Florida Statutes. When property receiving an agricultural classification contains a residence under the same ownership, the portion of the property consisting of the residence and curtilage must be assessed separately to be entitled to the “Save Our Homes” assessment limitation, found in Florida Statute 193.461 (3)(d). Curtilage is typically defined as the land area around the residence. Listed below are some general guidelines for how this office reviews the applications and determines eligibility. These general guidelines should not be considered solely definitive. 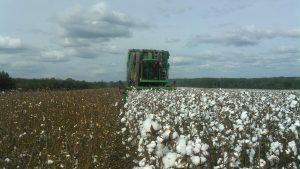 While there is no “minimum acres” requirement to qualify for AG Classification, each application is individually reviewed based on economy of scale to the property size and use. In all cases, agriculture solely for personal use is not considered a bona fide commercial operation. Current and appropriate local and state certifications/licenses are strongly recommended as well as filing an annual Schedule “F” IRS Tax Return. 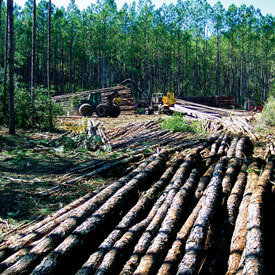 Land must be planted according to generally accepted schedules. Proper care and management must be evident. A description of the variety, plantings and trees per acre should be on file with the Property Appraiser’s Office. 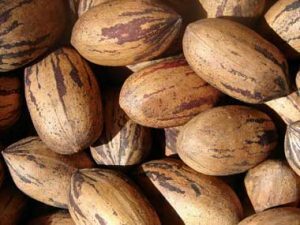 Production of fruits/nuts solely for your own use does not qualify as a commercial operation. Property must be fenced and it should be evident that the land is maintained and cared for sufficiently (e.g. fertilizing, liming, mowing etc.) The ratio of livestock to acreage and the soil capability are factors that are considered in granting the classification. 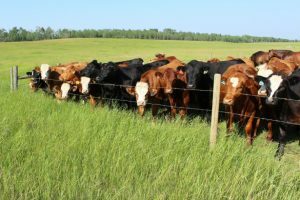 For example, one cow on one acre is typically not a bona fide commercial operation, while 50 cows on 100 acres could be. Production of the livestock solely for your own use does not qualify as a commercial operation. If the property is leased, it must first meet the size requirements on its own, and the lease and the agricultural use must be in place prior to January 1st. A copy of the lease should be on file with the Property Appraiser’s Office. Requires implementation of a Management Plan for planted pines and natural stands (this applies to both hard wood and mixed tracts). A copy of the Management Plan should be filed with the Property Appraiser’s Office. 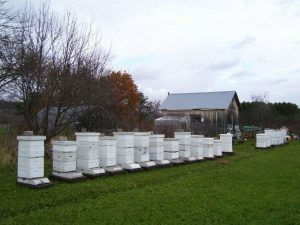 Bee yards or sites where honeybee hives or honeybee products are located must have an ex-traction house as required. Typically there are three general purposes for bee keeping: honeybee products, pollination and queen bee breeding. Certification with the Department of Agriculture is strongly recommended. Additional documentation may be required. 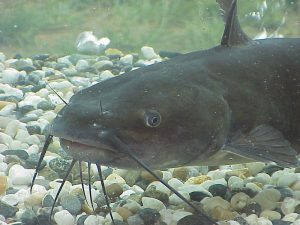 Catfish/shrimp farms, tropical fish farms, and other miscellaneous aquaculture, raised in either natural or artificial conditions, for human or domestic animal consumption. Production of any of these solely for personal use does not qualify as a commercial operation. Crops such as hay, wheat, corn, peanuts, cotton or other field crops are typical for this area. If the property is leased, its use must be in effect prior to January 1st. A copy should be on file with the Property Appraiser’s Office. Production of crops and vegetables solely for your own use does not qualify as a commercial operation. An above ground (e.g. potted, containers, hangings, etc.) or in ground (palm trees, oak trees, ornamentals or any marketable trees etc.) water source, or setup with irrigation is required. Only areas actually being used for the nursery and service area shall be entitled to agricultural classification. Personal nurseries and gardens do not qualify for the agricultural classification. Wholesale nurseries must have a state agricultural certificate on file at the Property Appraiser’s Office. Other documentation may be required for this classification. Other Classifications: These will be handled on a case-by-case basis (e.g. poultry, swine, goats, rabbits, horses, etc.). Please feel free to contact this office with any questions you have regarding other classifications. In order to start the process of acquiring an agricultural classification, the lands to be considered must be used primarily for bona fide commercial agricultural purposes on January 1st of that year. In addition, a completed agricultural classification application DR-482 must be filed with the Property Appraiser’s Office by the March 1st deadline. Agriculture solely for personal use is not considered a bona fide commercial operation. A completed application includes all appropriate documentation to support the application including but not limited to leases, local and state licenses/certifications, annual filing of Schedule “F” IRS Tax Return, etc. IMPORTANT: Agricultural Classification is not transferable. If the property is sold or transferred from one ownership to another, a new application must be filed. If property is transferred between family members or entities by 50% or more, a new application must be filed. If any changes in the use of the property it is important to notify the Property Appraiser’s office. Agricultural land use or zoning of your property does not automatically entitle you to agricultural classification for taxation purposes. They are not one and the same. Such other factors which from time to time become applicable. All Agricultural Application denials must be postmarked to applicants by July 1st. Can I file the application late? Yes. You may file an application between March 2nd and the 25th day following the mailing of the TRIM Notices if you have “just cause” for missing the deadline. If the Property Appraiser accepts the “just cause” for late filing and reviews the application and determines that the land is used for commercial agricultural purposes, the application can be approved. If the Property Appraiser does not approve the “just cause” for late filing and/or does not approve the application, you have the right to file a petition with the Value Adjustment Board (VAB) within 30 days of the denial of the application. The applicant must contact the Clerk of Court to file a petition and pay fees associated with the filing (850) 342-0219. The Property Appraiser’s office may physically inspect each Agricultural property at least once every five years. The Department of Revenue audits the Agricultural Values in each county once every two years. The Property Appraiser has the right to remove the classification from the land if the property is no longer being utilized for a commercial agricultural purpose.